Pickup from Jaipur Airport / Railway Station / Bus Stand by placard carrying driver and transfer to Hotel. Later visit to the fabled Pink City, the old Jaipur. Drive through the Johari Bazaar to the Hawa Mahal (Palace of Winds). Visit the various museums inside the City Palace and the ancient observatory, Jantar Mantar. Pay a visit to the Govind Deoji Temple, housing the patron deity of Jaipur Evening visit Chokhi Dhani for Rajasthani traditional Dinner with dance and Music. Overnight stay at Hotel. After breakfast at hotel drive to Udaipur. Visit to Nathdwara, Krishna Temple / Eklingji, Shiva Temple on the way. 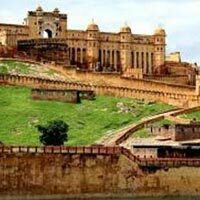 Reach Udaipur by evening and check-in at Hotel. Overnight stay at Hotel. 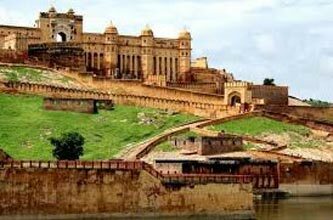 Full day Sightseeing of Udaipur, covering City Palace, Old City, Saheliyon ki Badi & Haldi Ghati. Overnight stay at a Hotel in Udaipur. Leave after early breakfast for Mt. Abu. Check-in at Hotel in Mt. Abu. Visit to the world famous Dilwara Temples after lunch. Visit to Sunset Point / Nakki Lake in the evening. After early breakfast, leave for Chittaurgarh. Check-in at hotel. Visit to the Chittaurgarh Fort after lunch. After breakfast at Hotel to drive to Jaipur en route visits Pushkar. See the Holy Lake after lunch. Visit the only Temple of Lord Brahma in the world. (Pushkar is famous for rose cultivation too! Ask the driver to show you a Rose Farm). Drive to Jaipur, Overnight stay at Hotel.